This mystery is nicely seasoned with plenty of humor. Small town life lends well to that as does small-town politics. . . Then you add in the Southern ways and charm, and you have a perfect cozy mystery. I adore Piper and her spice shop, the community of friends and foes, along with wonderful mysteries. 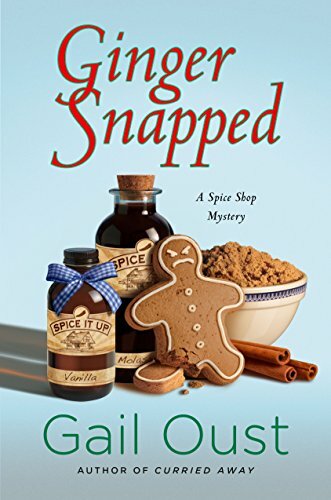 In GINGER SNAPPED, Oust has penned another top-notch mystery filled with secrets, murder, and fun! Once started on this story, I couldn’t set my book down. The Spice Shop Mysteries are my some of my favorites. This is book 5 in the series and it just keeps getting better and better. A wonderful stand-alone cozy mystery that is part of an addictive series. This book is one of those mysteries that you just have a blast reading. I thoroughly enjoyed it . . . I can’t get enough of the awesome characters, witty dialogue, perfect setting, and top-notch mysteries in this series. This had been a fun and quick read, Piper and her best friend Reba Mae friendship is what adds some spice to this book, be prepared to have a few laughs. Ginger Snapped was a fun cozy read. If you enjoy a very well written cozy mystery that had some amazing personal moments alongside the investigating you have to try this book. I totally loved it so I give it 5/5 stars. Piper is a smart, sassy heroine that will keep you on your toes and you will love this quirky cast of memorable characters. This was well written and flowed really well. It was a quick read and kept my interest. I was left guessing until the very end. This book is a great mix of friends and family and watching as Piper weeds through the suspects along with her BFF Reba Mae and even Wyatt himself helping along the way. Piper Prescott and Police Chief Wyatt McBride might have gotten off on the wrong foot but, over the past year, their interactions have evolved into a friendship of sorts. And when the body of Shirley Randolph is found floating in a fishing hole, their relationship reaches entirely new territory. 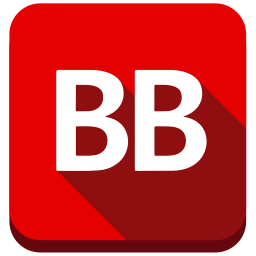 Shirley, the town’s Realtor of the Year, was also Wyatt’s suspected romantic interest, and now the residents of Brandywine Creek are speculating that Wyatt is responsible for her death. As the town council moves to suspend the handsome lawman, Piper springs into action to save his reputation and possibly his freedom. She enlists the aid of her BFF, Reba Mae Johnson, along with Wyatt himself, to help solve the puzzle and find Shirley’s real killer. Pointing them toward high-powered real estate tactics and possible affairs, the investigation soon becomes personal when Piper’s shop, Spice It Up!, is burglarized, and she’s forced off the road late one night, narrowly escaping serious injury. Realizing that she must be close to uncovering the truth, and that the evidence against Wyatt is no longer circumstantial, Piper resorts to drastic measures to prevent a grave miscarriage of justice. Friends often accuse Gail Oust of flunking retirement. While working as a nurse/vascular technologist, Gail penned nine historical romances under the pseudonym Elizabeth Turner for Avon, Pocket, Berkley, and Kensington. It wasn’t until she and her husband retired to South Carolina that inspiration struck for a mystery. 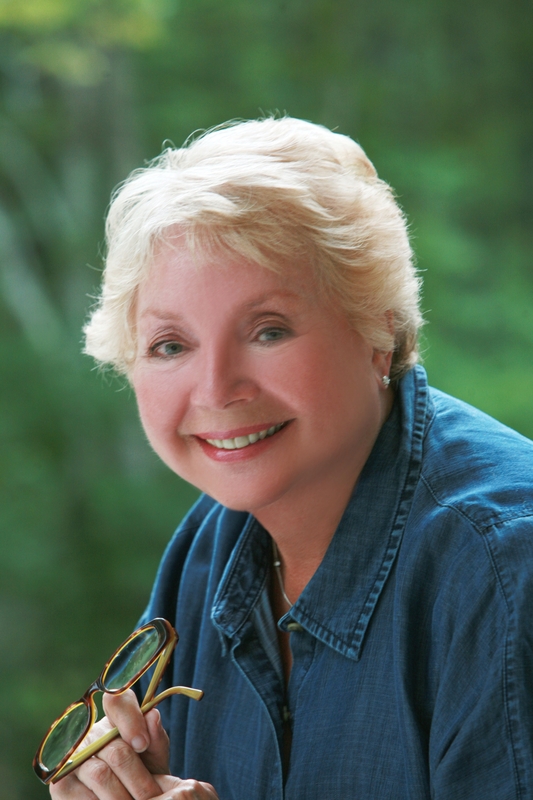 Hearing the words, “maybe it’s a dead body,” while golfing with friends fired her imagination for the Bunco Babe Mystery series originally published by NAL. In conjunction with Beyond the Page Publishing, the Bunco Babe series has been republished in digital format as the Kate McCall Mysteries complete with new titles and a whole new look. Gail has written five Spice Shop Mysteries for Minotaur/St. Martin’s. Her favorite pastimes are reading, traveling, and hanging out with friends. Webpage – www.gailoust.com, Gail Oust Author on Facebook, and Goodreads. I love cozy mysteries! This looks like a great book! I can’t wait to read it! Thank you for the giveaway!